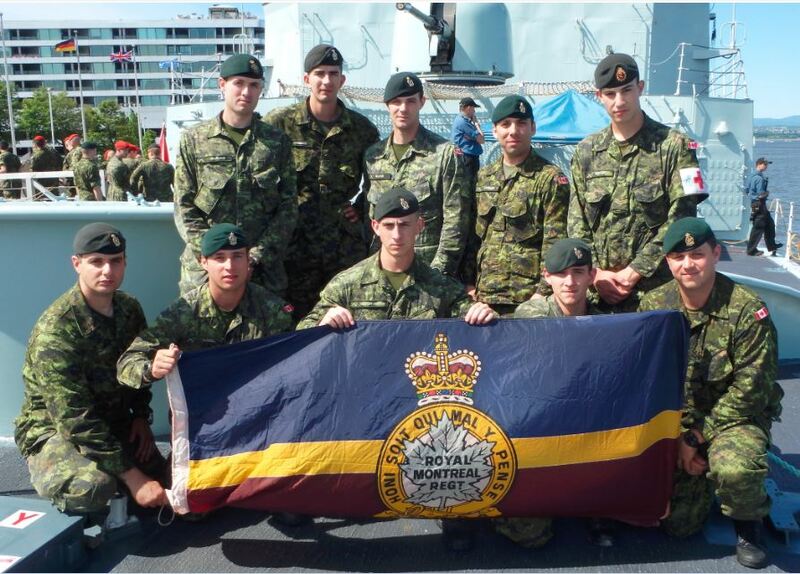 Quebec City, 15 June 2014 – A nine man team from The Royal Montreal Regiment marched from CFB Valcartier to the Port of Quebec in celebration of the 100th Anniversary of Camp Valcartier’s inauguration. 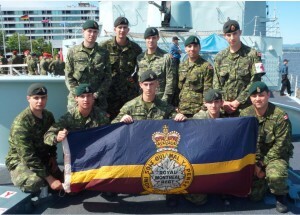 The RMR’s marchers were comprised of members of the RMR Nijmegen Marching team which will also be participating in this year’s Nijmegen March in Holland from 11 -21 July 2014. The Nijmegen March is an international marching event that in recent years has had up to 40,000 participants. Military teams are required to walk a total of 160km in 4 days carrying a weight of 10kg. “It was a humbling experience to retrace and commemorate the 30 km march from CFB Valcartier to the port of Quebec as it was done 100 years ago by our forefathers, headed to Europe to fight in the First World War. It had a special meaning for the members of The Royal Montreal Regiment as well, as it allowed us not only to celebrate the centennial of Camp Valcartier, but also that of our own Regiment”, said RMR Nijmegen Team Leader, Captain Paul Delplace. Sunday’s symbolic 30 km march from CFB Valcartier to the Port of Quebec was the culmination of 3 months of intensive buildup training and the final hurdle before the RMR team was declared OPERATIONALLY READY for the Nijmegen March. The buildup training was conducted around the region of Montreal and offered a unique opportunity to interact with the community. You can meet the members of the RMR team at the Summer Racing Party being held in Montreal on Saturday 05 July 2014, come down and wish them well!